Kitchen is a perfect place for gathering and socializing of family, friends, pets and guests. Every household requires a place where food is prepared without the risk of any damage or accident. The function, style and maintenance are the key features to be considered for remodeling any kitchen. It requires extensive planning regarding the selection of surface, material, cabinets, finishing and appliances to be used. The space and design must suit your tastes and lifestyle. Developing a complete financial and budget plan is also required to meet your affordability. The kitchen should provide essential storage and surface to meet the cooking, dining and storage needs. The tone and decorative items must compliment the other household theme. 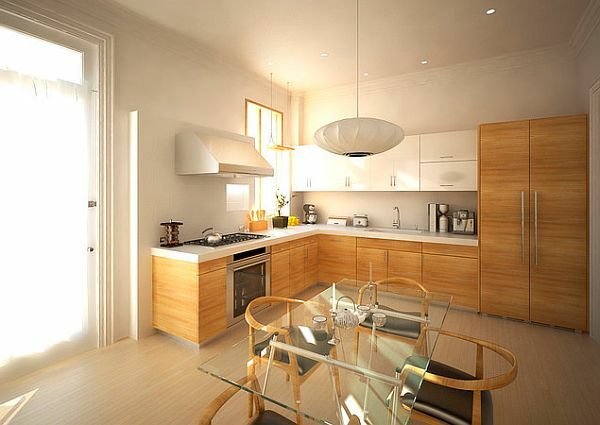 The kitchen size is a key factor in designing the layout. You can plan the kitchen model yourself or get it planned and implemented from a professional architect. There are always many ways to modify or remodel any place according to its design and space. The ease of movement while cooking and dish washing and space available of more than one person determine in having the most effective layout you want to have in the kitchen. Changes can be made in the place of windows and doors to make it cozy or wide. The lifestyle of individual and family matters a lot while remodeling any kitchen as it will determine the requirements regarding cooking and gathering. The infrastructure of a kitchen includes the electrical and plumbing issues and it should accommodate all the electrical appliances to be used and installed. You should understand the needs and budget requirement for changing or bringing new materials and finishes to the kitchen. The budget should be realistic and affordable depending on the overall value of house. Kitchens have become the command centers for family gathering. 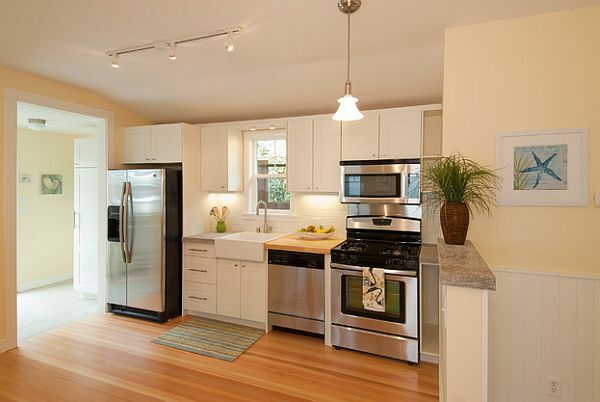 An old and tired kitchen look can be remodeled through these simple and cost effective tips. The cabinets and walls can be painted up in a new and bright paint color that will enhance the look and appeal. The glass and mirrored cabinets not only provide more space but also open the kitchen for view. The large space can be covered with a small dining table and chairs without arms. The trays and baskets can help in organizing utensils and collections. Wooden floors and cabinets will provide an effective surface for movement and long lasting purpose. Use small and effective appliances which can be cleaned easily. Look for all the potential problems regarding the plumbing, lighting and electrical fittings. Changing the kitchen sink and faucet can also enhance the overall look of old kitchen.